Imagine: you are a thirty-year-old woman. You live in Amsterdam, you have great friends, a wonderful job and you have found the love of your life, the one you want to grow old with. You celebrate life every day. Happiness is everywhere; the whole world is at your feet. You have the feeling all other beautiful surprises life has to offer will follow soon enough. You decide to stop using birth control, because you and your love are hoping to have a baby. As of that moment, things turn out differently than expected. 90% of the women who start trying conceive in the first year. This is my story. I am not one of them. I go to the doctors and then to the hospital. I am sucked into IVF treatments I had never expected to have to undergo. There is no way back. I have to deal with one disappointment after another; I am losing control of my life. I find myself being caught in situations I dont have a grip on. I fight and I try and I try and I fight. And then what...? What if it really isnt in the stars for us? Can we ever be truly happy again? Then suddenly everything happens at the same time, a bizarre combination of events that accounts for huge changes in my life. Nothing will ever be the same again. 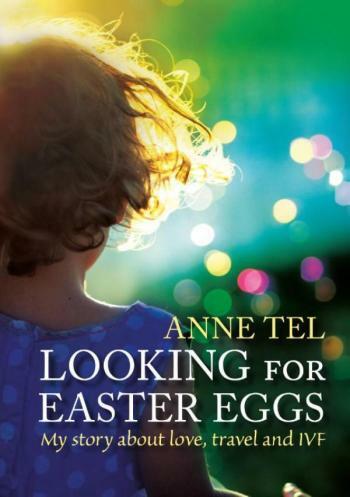 About the author Anne Tel (1975) is married to Frank and has kept a diary about her fertility treatments. She has the courage to write about the greatest insecurities in life and is willing to share her deepest and most personal thoughts and emotions, exposing a vulnerability others might prefer to keep to themselves.